Superdry women's Millie loungewear pants. Get cosy this season with the Millie loungewear pants. 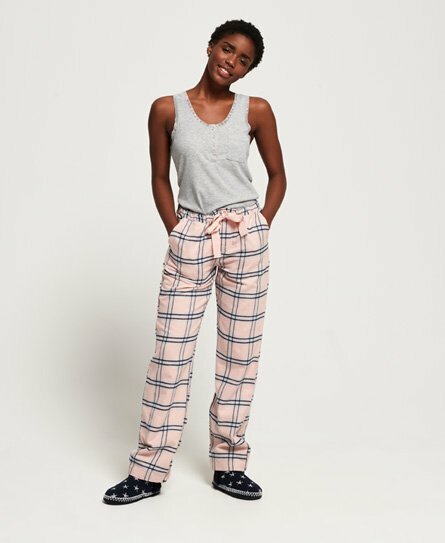 Perfect for throwing on at the end of a long day, these lounge pants have been designed using a luxuriously soft fabric, meaning you can lounge in comfort this season. Featuring a drawstring waist and button fastening, the Millie loungewear pants are a must have as the nights start to draw in.